WILMINGTON – Capping off a four-game Scholastic Play-By-Play Classic event, Xenia’s Samari Curtis scored 41 points and the Buccaneers defeated Wilmington 77-61 Saturday night at Fred Summers Court. Curtis is headed to the University of Cincinnati to play collegiately next season. Wilmington falls to 5-7 on the season, while Xenia improves to 8-7 overall. Wilmington battled the Bucs toe-to-toe in the opening quarter, trailing 26-25. Marko Anicic launched a high-arching trey from near center court as time expired to end the first quarter and gets WHS close. The middle two quarters is when Xenia did its damage, outscoring WHS 34-11, and limiting the Hurricane to a single basket in the third period, a layup by Chris Custis. Scoring 18 of Xenia’s 26 points in the opening period, Curtis ignited the Bucs offensively with 24 by halftime. For Curtis, it was the fourth time in the last seven games he has topped the 40-point plateau. WHS struggled in the second period, outscored by a 16-9 margin, as Xenia built a 42-34 halftime lead. The third quarter was in a word, disastrous, as the Bucs reeled off 14 unanswered points before WHS got its first score and by the end of the quarter, Xenia was in control, 60-36. For the Hurricane, Willie Morris led the offensive attack with 16 points, including four three-pointers. For Morris, 11 of his points came in the final quarter when Wilmington outscored Xenia, 25-17. Cam Coomer added 12 points and Matt Butcher scored 11 for the Hurricane. Xenia capitalized at the free throw line, converting 19 of 24. During the fourth quarter, the Bucs connected on 8 of 12. Wilmington was 7 of 8 from the free throw line. The Hurricane committed 16 turnovers—including 11 in the second half. Xenia had just eight turnovers for the entire game. Wilmington will have a non-league contest against former South Central Ohio League rival Miami Trace Tuesday night at Fred Summers Court. The Hurricane’s next SBAAC American Division game will be Friday when Western Brown visits WHS. The Broncos defeated the Hurricane 52-31 on Dec. 14. (77) XENIA (2fg-3fg-ft-tp) Bradley 1-0-2-4, Gaither 2-0-0-4, Hoosier 1-0-0-2, Curtis 9-4-11-41, Hoyt 2-0-0-4, Crawford 3-0-3-9, Gray 5-0-3-13, Gerhardt 0-0-0-0. 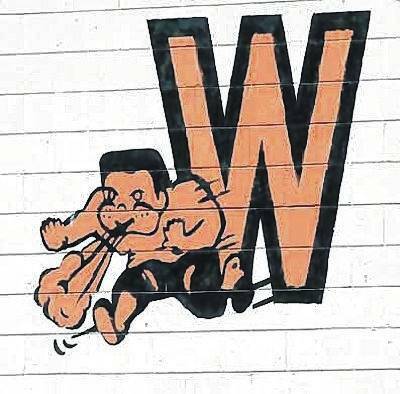 (61) WILMINGTON (2fg-3fg-ft-tp) Morris 1-4-2-16, Coomer 2-2-2-12, Sweeney 1-1-0-5, Custis 1-0-0-2, Anicic 0-1-0-3, Spears 0-0-0-0, Jacobyansky 2-1-2-9, Butcher 4-1-1-11, Stewart 1-0-0-2.